The consultant hired to help the city of Elgin bring more diversity and inclusion to its employees and policies says headway has been made toward achieving those goals. Barreto said the city of Elgin, and particularly its police department, has been in crisis mode for much of this year with the departure of police Chief Jeff Swoboda, the appointment of Ana Lalley as his successor and the police-involved shooting of Elgin resident Decynthia Clements. An Illinois State Police report on the circumstances of that incident and whether it was justified is being reviewed by the Cook County State’s Attorney’s Office. “It’s hard to make changes under pressure,” but projects have been launched that should address the larger issues, Barreto said. Beyond that, the city’s procurement department launched new computer software in June to help track supplier diversity. One caveat, Barreto said, is the supplier’s information is self-reported so it has to be verified. She will meet with the department in September to see how things are proceeding, she said. 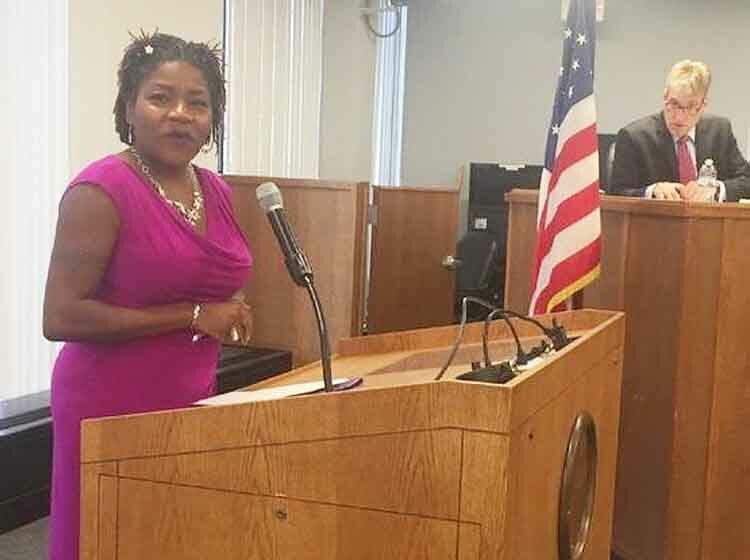 Councilwoman Tish Powell suggested that applicants seeking business licenses also be asked if they are owned by minorities or women, with the information collated with the procurement department’s findings. Barreto said she will work with the procurement department in the last quarter of 2018 to “create a statement of commitment to supplier diversity and strengthen our Elgin vendor preference communication.” Related to this will be educating city staff who make purchasing decisions about how the process should work and the importance of using the standards set. Barreto also oversaw two gatherings for management. In April they focused on understanding what diversity means and developing a more inclusive mindset and in June, an “ethical decision making” session looked at organizational and individual value systems and how they affect decision-making, she said. Other upcoming projects include a “Bias Learning” session for management and developing plans to address recruitment, talent development, leadership and work culture. Barreto also has been working with the fire department on a test case study exploring how the elimination of the college credit hours requirement for new hires might impact the types of people who apply for firefighter positions. All of this will lead to a staff assessment in fall 2019 to learn how employees feel about their work environment, the results of which will be compared to a similar survey Barreto conducted in 2017. Councilman John Steffen asked if some of these sessions could be set up for the council. Barreto suggested that waiting until after the spring mayoral and council election might be a better idea. Powell disagreed. “I don’t think we need to wait until April,” she said.